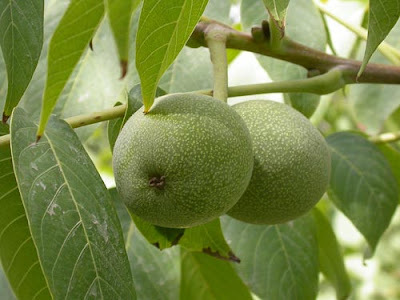 Walnut trees - Juglans species, are a group of 21 species old deciduous trees native to southeast Europe, southeast Asia and southeast Canada west to California and south to Argentina. 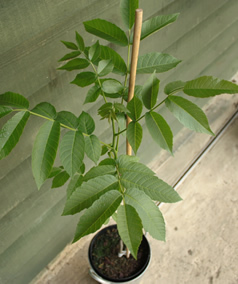 The two most commercially important species are Juglans regia (grown for its timber and edible nuts), and Juglans nigra (grown mainly for its timber). Both of these species have similar cultivation requirements and are widely grown in temperate climates. When planting walnut trees make sure that they are away from frost pockets and located at least 60 feet from any sensitive plants or garden areas. 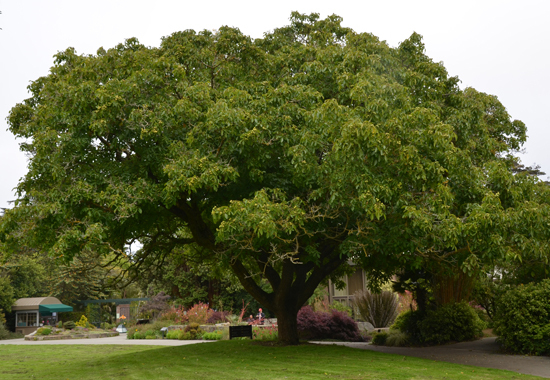 Black walnut trees will do particularly well in a moist, well-drained soil, or on a moist hillside or an upland site. They also tolerate occasional dry spells, and will accept any soil pH from moderately acidic to moderately alkaline. They are a light -demanding plants, so if you are planting walnuts as garden trees, space them about 60-70 feet apart so their crowns can develop a majestic spread as they mature. However, if you're planting black walnuts for their valuable wood, plant them approximately 30 feet apart so their trunks will grow long and straight. Where practical, mulch annually with well-rotted farm manure or garden compost in the spring for the first few years. Once they are established mulching will not longer be necessary. You can plant with or without the husk still on, though taking the husk off will help the plant germinate. Plant your nuts in the fall, and protect them from squirrels. They need a period of cold before they will sprout. It only needs to be about 3 inches under the soil. They should sprout in 4 to 5 months, or possibly not until the following year. Gather the nuts as they fall from a tree in your area, and remove the husks. Place half a dozen nuts several inches apart in a cluster, four or five inches deep. If you have squirrels, lay a piece of hardware cloth over the planting spot and pin it to the ground with v-shaped wires. Lay a mulch of straw or leaves over the hardware cloth to reduce the freeze/thaw cycles. Mark the site so you can find it again. After autumn planting and a session of damp, cold weather, the walnut seeds will germinate in the spring. Remove the mulch and hardware cloth from the planting spot in late winter, and mark the spot clearly so you don't accidentally mow over it! After the baby trees have grown for a few months, choose the best one and eliminate the others. caring for your walnut tree.